The authors of the 90 days diets are separate Breda Hrobat and Mojca Polyanshek. 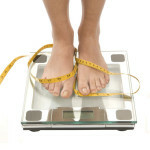 Developers guarantee that if you follow 90 separate daily diet for three months, you can lose 20 to 25 excess kilograms. Also, the creators diets promise that even after dieting for a further three months without any effort go three kilograms. 90 separate daily diet is based on a separate feed, which is a repetition of cycles lasting four days. Each cycle includes protein, starch, carbohydrate and vitamin days, each of which designed a special menu 90 day diet. You must strictly adhere to the data sequence of days to achieve a good result. Every 29th day (after day vitamin) is necessary to arrange a fasting day, which allowed to drink non-carbonated water in unlimited quantities. Schedule power shall be as follows: the main meal should occur in the time period from 12 pm to 20 pm (calorie meal should be two times less than the calorie lunch), and breakfast should be done as light as possible (fruit and soft drinks). Liquids should drink at least two liters a day, and every morning immediately after waking up, it is desirable to drink a refreshing drink, consisting of warm water with honey and apple cider vinegar. Between main meals if you want, you can eat a piece of fruit. Fats should be consumed in a fairly limited number – only one teaspoon of salad dressing or cooking. The protein day time period between lunch and dinner must be four hours on other days – the three hours (vitamin a day can eat every two hours). As a breakfast for three months are any two favorite fruits. They must be the same, or a glass of fruit for breakfast. The main meal menu 90 day diet is a meal, which depends on the day of the cycle. Recipes 90 day diet for protein day. Lunch (after 12 pm): any protein foods (lean meat, milk, eggs, fish, cheese, cottage cheese), a vegetable, 300 ml low-fat broth and a slice of corn bread (optional). Dinner: any protein food (calorie meal should be half of the calorie lunch). The meat should be consumed only boiled or stewed. At lunch you can also eat a large portion of greens, such as lettuce. Throughout the day you can drink low-fat milk or tea in small quantities. Recipes for 90 days diet starchy day. Lunch (after 12 pm): foods containing complex carbohydrates (legumes (beans, peas, soybeans, lentils), porridge with vegetables, potatoes), a small slice of bread. Dinner (20 pm): starchy foods. Potatoes can be boiled or put out with the addition of a minimum amount of fat. Throughout the day you can drink vegetable broth. Recipes 90 days diet for carbohydrate day. Lunch and dinner: food containing simple carbohydrates: cereals, flour, unleavened cakes (moderately), dark chocolate. This cycle day 90 separate daily diet is the favorite for most of the slimming of the system. You can treat yourself to a pizza with tomato sauce, or boiled pasta and spices. It is possible to make pancakes containing no milk, and eggs. For dinner you can eat three scoops of ice cream with three small tricks cookies. 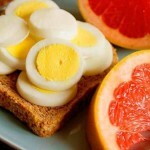 Recipes 90 days diet for vitamin day. Lunch: fresh fruits and vegetables, dried fruits. Repeat 90 separate daily diet can be no earlier than three months. According to many reviews, 90 days diet is not only good to lose weight, but also significantly speed up the metabolism in the body and thus improve health.